Only 10 seconds to measure density and volume. Ideal machine for interval testing in a production line. Minimum density and volume resolution 0.01g/cm3. 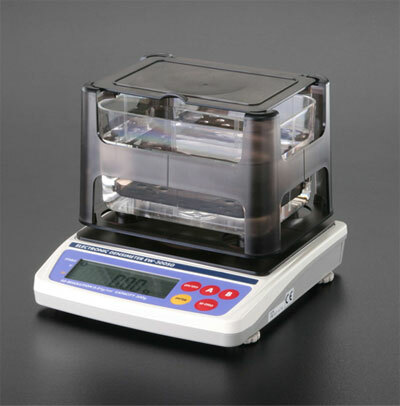 Maximum measuring range up to 300g. Smoother and easier operation with improved vessel that features chemical resistant Styrol technology. Only 10 seconds to complete a test. Able to measure the rate change of density. Results can be analyzed with Comparator mode. Optional Setting mode is available for unknown samples or new material development. Easy connection to PC with equipped RS232 interface.